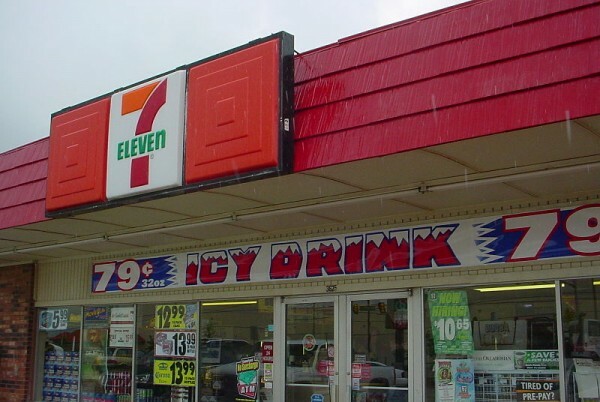 An Oklahoma 7-Eleven store. They sell the icy drink. They are calling it ‘sausage rage’. A woman went bezerk inside a New Jersey 7-Eleven when she walked into the store and found out the store had no sausages to eat. She went insane and jumped behind the counter and attacked the clerk. An officer arrived, put the woman in handcuffs, and she was held in the officer’s car and attempted to kick out the vehicle’s windows. The power of sausage. There are many jokes you could say here but I’ll leave you to comment.